Tickets are valid for two days (the day of the purchase and the following day). Purchased tickets can not be refunded. Tickets are available in Information Centres of Prague Castle in the second and in the third courtyards, in the Prague Castle Picture Gallery, in the Old Royal Palace and at two ticket offices in the Golden Lane, in Lobkowicz Palace in Jiřská Street. Tickets are also sold at ticket offices of TICKETPORTAL. 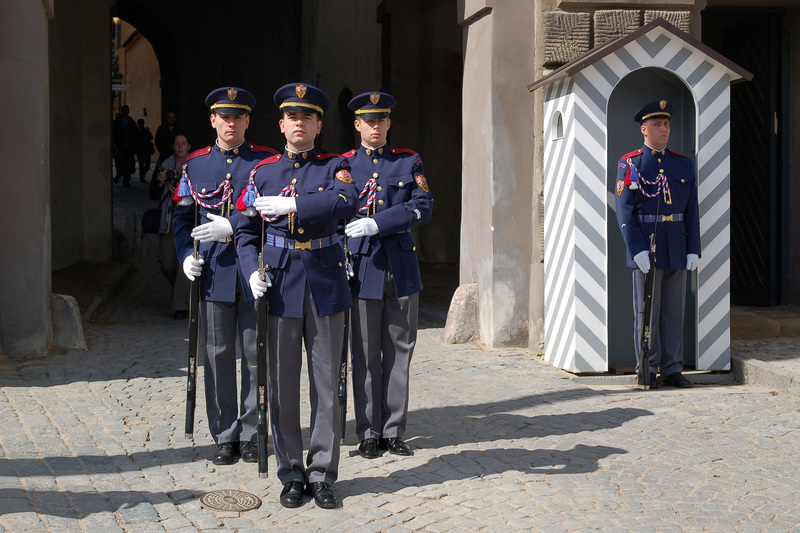 When entering the Prague Castle complex, visitors are subject to security checks. For this reason, kindly expect delays. The Prague Castle administration requests that visitors abstain from bringing large pieces of luggage and follow the official visitor rules. Professional tour guides of Prague Castle Administration - Monday-Saturday can be booked by e-mail: info@hrad.cz (tel. +420 224 373 584) or in person in the information centre in the 3rd courtyard. Guided tours last one hour and include: the St Vitus Cathedral and the Old Royal Palace. All historical monuments (St Vitus Cathedral, Old Royal Palace, Basilica of St George, Golden Lane with Daliborka Tower, Prague Castle Picture Gallery, exhibition "The Story of Prague Castle", exhibition "The Treasure of St Vitus Cathedral", Powder Tower, Rosenberg Palace, Great South Tower of St Vitus Cathedral) can be visited also individually with the possibility of guided tour. 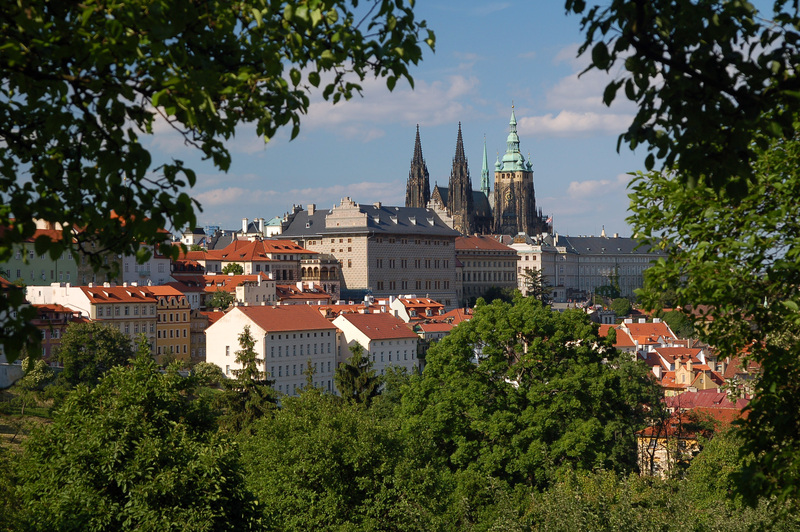 Audioguide includes detailed information about Prague Castle. The recording lasts more than 3 hours and provides information about both exteriors and interiors. Prices per 1 device: for 3 hours CZK 350 or for 1 day CZK 450. A Braille guide –”Prague Castle for the Blind” – is available upon request. Historical monuments and exhibition halls except towers (Daliborka Tower, White Tower, Powder Tower, Cathedral Southern Tower), exhibition "The Treasure of St Vitus Cathedral" and defence corridor in the Golden Lane offer barrier-free entrances. The parking space around the Prague Castle is very limited, it is generally not recommended to arrive by car. The closest (paid) parking place is near the tram no. 22 stop "Pražský hrad". Mariánské hradby St., on the right side in direction Jelení St.
Prague Castle has been our most significant national cultural and historical monument; it is a symbol of the development of the Czech state lasting for more than a thousand years. It is a monumental complex of palace, church, fortification, official and residential buildings, which represent precious monuments of all the architectural styles. It spreads on the area of 45 hectares. It was the seat of the Bohemian princes, kings, and emperors, and after the republic was established in 1918, it has also been the seat of the presidents. 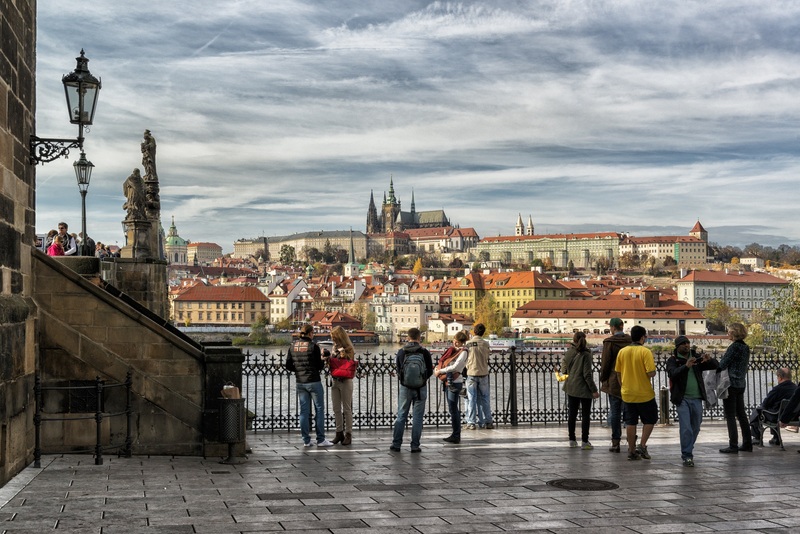 Since 1962, Prague Castle with its archaeological findings has been registered as the National Cultural Monument No. 1. Beginnings of Prague Castle are connected with the first historically documented member of the Přemyslid family, Bořivoj. In the 880s, he transferred his original seat from Levý Hradec to a place where there had already been a Slavic settlement on the hill above the Vltava River with a very advantageous position. The first princely palace was probably made of wood. The fist stone building and the oldest Christian sanctuary was the Virgin Mary Church. Its remains were found between the second courtyard and the Bastion Garden (Na Baště). This church of Bořivoj was soon re-built by prince Spytihněv I, who was buried here in 915. The second church within the Castle premises was the St. George Basilica established by prince Vratislav I. The next of the Přemyslid princes, Václav (the saint) had the third sanctuary built nearby in the 920s - St. Vít Rotund, which was re-built by prince Spytihněv II to a mighty basilica in the 11th century. 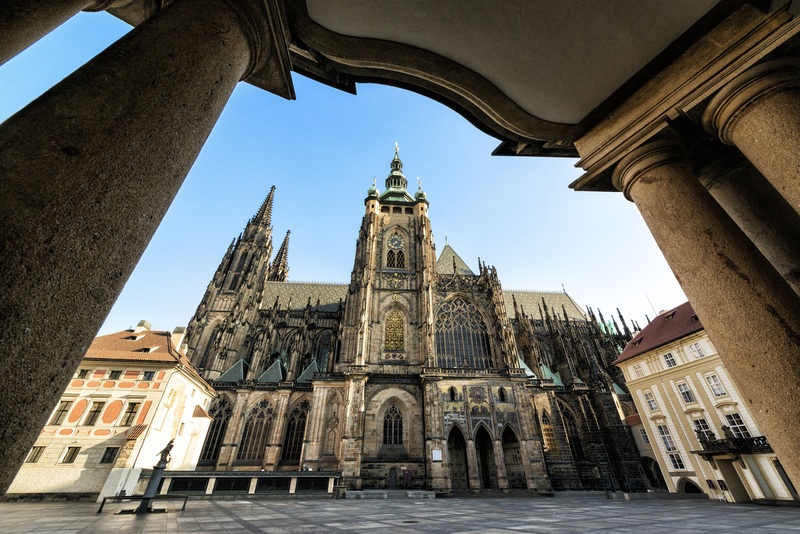 In 973, when the episcopate was established in Prague, Prague Castle was not only the seat of the head of the state, but also the seat of the Prague bishop, the highest representative of the church. At the same time, the first Bohemian monastery was founded by the St. George Basilica. In the 10th century, the Castle took up approximately 6 hectares. During the Romanic era, the former settlement was re-built to a strong Medieval castle, namely after 1135 thanks to Soběslav I, when the stone princely palace was built and new stone fortifications strengthened by several towers, the best preserved of which is the Eastern Black Tower. The appearance of Prague Castle was very markedly affected by the Gothic era, namely by Charles IV (1346 - 1378), who succeeded in persuading the pope to promote the Prague episcopate to archiepiscopate, together with his father John of Bohemia (John the Blind) (1310 - 1346), and he laid the foundation stone to the building of the St. Vitus temple. During the reign of Charles IV, the Castle for the first time became an imperial residence. Charles IV had the Prague Castle fortifications strengthened; he generously rebuilt the royal palace with All Saints Chapel. He covered the roofs of the spires by gold-plated metal sheets, which gave rise to the saying Gold Prague. 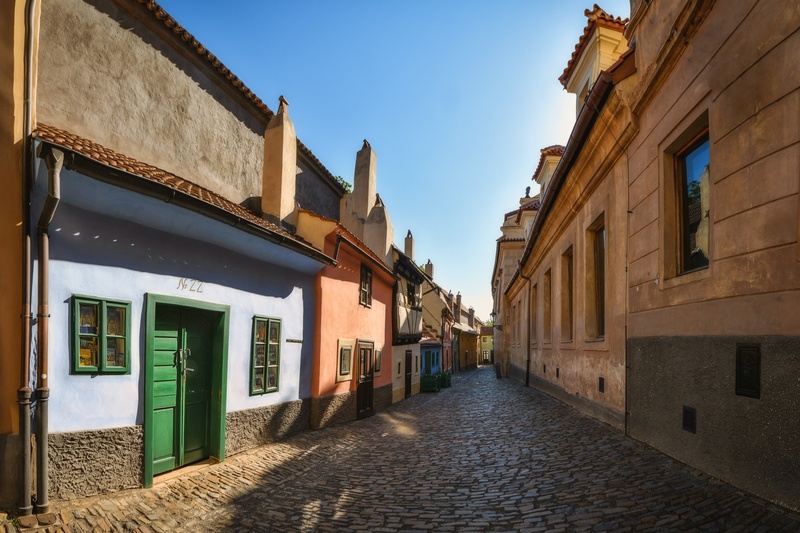 In 1382, Bohemian rulers moved their residence away from Prague Castle for more than 100 years. Royal court was located in what is today the Municipal House, and only returned to Prague Castle in 1483 with Vladislav from the Jagiellon family. Although the ruler moved to Buda in 1490, he arranged for rebuilding of Prague Castle in late-Gothic style under the command of Benedikt Ried. He was the builder of the magnificent Vladislav Hall, the greatest profane vaulted premises in the contemporary Europe, with which the first marks of Renaissance arrived at Prague. He carried out generous constructional modifications, including the building of new fortifications, defence towers and extending the royal palace. In this era, Gothic was recessing and new building style Renaissance started to leak in. Direct influence of the new-style Italian art was most noted in Prague during the reign of Ferdinand I (of Habsburg), and when he left Prague, he was succeeded by the governor Ferdinand of Tirol. Back then, the medieval castle was modified into a comfortable Renaissance castle with gardens. Typical Italian architecture of the Royal Summer House was built in the Northern Royal Garden. Extensive building activity was brought about by the fire in 1541, which greatly damaged the objects within the Castle and around it. Both the residential premises and the church objects were re-built within the framework of the restoration. During the reign of the first Habsburgs, the Castle area was filled by noble palaces (such as the Pernštejn Palace - later the Lobkowicz Palace, Rožmberk Palace, and others). The stables were built in the North-West. During the reign of emperor Rudolf II (1576 - 1611), the Renaissance and Mannerist reconstruction of the Castle was at its peak, and the Castle became for the second time the centre of European culture and science. New premises for Rudolf’s collections were built in the second courtyard - the New (today the Spanish) Hall and Rudolf’s Gallery. A linking block was built between the North-Western and the South-Eastern part of the Castle. This was the place of the famous “Kunstkomora” and more space for Rudolf’s collector activities. Moreover, further stables were built for his unique Spanish horses. Construction of the Golden Lane (Zlatá ulička) started during the reign of Rudolf. The laboratories of Rudolf’s alchemists are said to have been in the Powder Tower above the Deer Moat (Jelení příkop). The Castle suffered bad damage when it was seized and plundered by the Saxon army in 1631, and then by the Swedes in 1648. After the Thirty Years’ War, the Habsburgs did not care much about the royal seat in Prague. It was Maria Theresa in 1755 - 1775 who carried out an extensive reconstruction of Prague Castle into a representative castle complex. The reason for such massive building action was in war damages caused by extensive bombing of the Castle in the war conflicts in the beginning of her reign. The reconstruction was proposed by a Vienna architect Nicolo Pacassi, who made a project of the first courtyard with the monumental entrance gate. The Chapel of the Holy Cross on the second castle courtyard and other buildings, namely the Institute for Noble Women, were also built in the Theresian reconstruction era. The Southern front of the Castle gained a unified monumental late-Baroque facade of a representative seat. The architect’s plans influenced by Rococo in Vienna and French Classicism were realized by the builders Anselmo Lurago, Antonín Kunz and Antonín Haffenecker. The Castle dilapidated during the 19th century; following the Joseph’s reforms, many buildings were settled by the army. Several objects were constructionally modified in relation to the stay of Ferdinand I the Good after his abdication in 1848, and also in relation with the preparation for the promised coronation of Franz Joseph I in the 1860s. After 1859, the Association for the completion of St. Vitus Temple was founded, and it was first repaired, and then actually completed in 1929, under the care of architect Josef Mocker. Renowned Slovene architect Josip Plečnik carried out extensive modifications of Prague Castle as a seat of the Czechoslovak president in the years 1920 - 35, expertly uniting precious historical premises with modern civilisation demands. His modifications namely affected the first and the third castle courtyards, the Castle’s Southern gardens, the fourth courtyard with the Bastion Garden, and numerous interiors. For example, he was the author of the so called Column Hall (Sloupová síň), the private premises of the president’s flat, including the so called Masaryk’s office. His pupil, Otto Rothmayer, completed the resolution of several Castle interiors after the World War II in similar quality. In 1936, Pavel Janák became the castle architect, to be succeeded by Jaroslav Fragner in 1959. 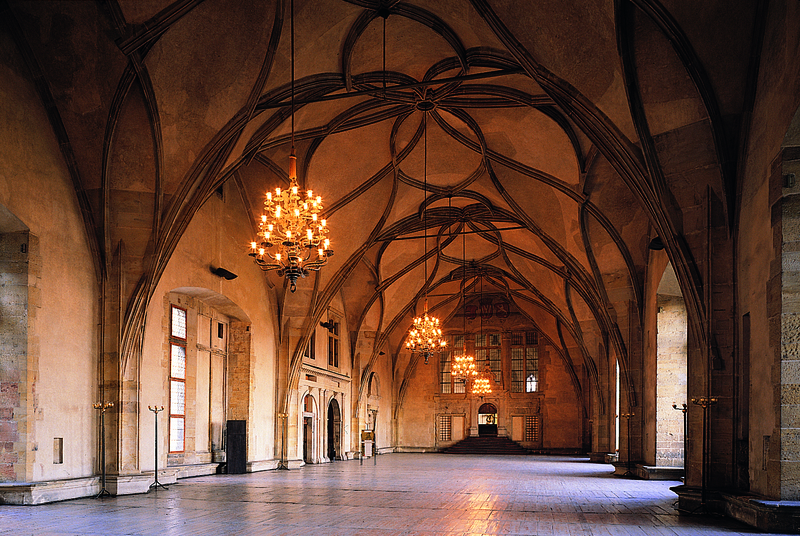 After 1989, Prague Castle was opened to public in many locations. When Václav Havel was president, there were several modifications of interior and two new entrances were established at the second courtyard according to a project of artist and designer Bořek Šípek. The trench through the Deer Moat under the Powder Bridge (architect Josef Pleskot) was awarded a special prize for architecture. Also the modern greenhouse designed by world renowned architect Eva Jiřičná is interesting. The square Jiřské náměstí was newly paved and arranged. The mosaic of the Last Judgement was restored in cooperation with the Getti Institute professionals. 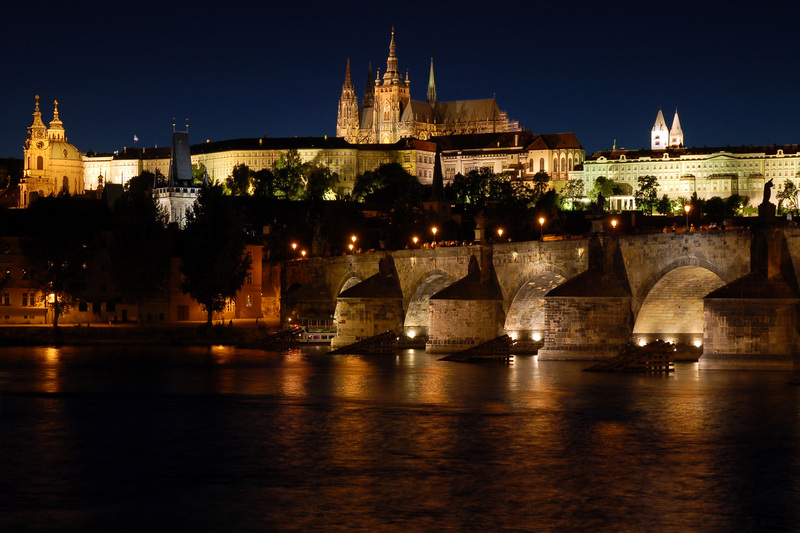 Since 1990, Prague Castle has been furnished with floodlighting, activated every day after dusk until midnight, or until 1 a.m. during the tourist season. The tradition of electric lighting in a much smaller extent started in 1928, when the lamps were installed for the first time to commemorate the republic’s 10th anniversary. Floodlighting similar to the current one was installed at the end of the 60s, yet it was only activated on festive occasions, such as national holidays or important days of the republic. Over the past years, reconstruction has started in many castle objects, and much attention was paid to archaeological research, which has been in progress since 1925 and has brought about many findings about the Castle history. Research and restoration of the individual premises and objects after 1990 has been guided by the idea of revival via the greatest possible opening for public.